Know what I did last month? Went on a little speaking tour! No, really! Ok, it wasn’t as glamorous as “speaking tour” sounds. There were no autographs being given, no luxurious hotels being stayed at, and no wads of cash or fat checks being handed over in exchange for my appearance. I stayed in my own house and had to heard all 4 of my children out the door each morning so that we could get to my presentation on time. All 5 presentations happened at our church, and probably 200ish people saw me over the course of those 5 mornings. 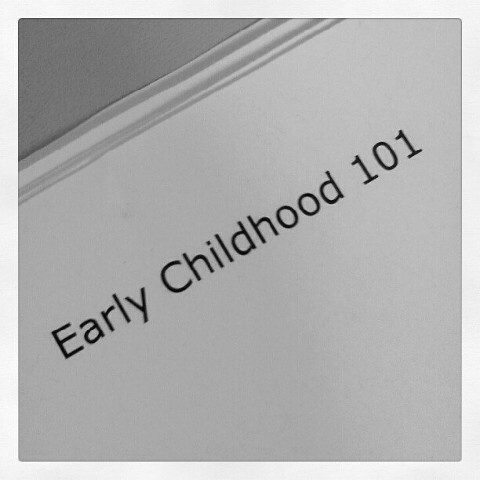 Four of the mornings were spent with the Early Childhood Building Better Moms groups (one of which I co-lead) and the last morning was spent at the Parent Summit hosted by our kids ministry (I was one of many break-out options that morning). All 5 presentations were almost identical in content, with the exception of the Parenting Summit talk; that one had a different title (Early Childhood 101) and some extras at the end about simple ways to encourage spiritual development at home. The Building Better Moms topic was “There’s A Chart For That!”, in which I showed off… charts! (Bet you didn’t see that coming.) All 5 sessions started out the same way though! All links will open in new windows for you! So there you go – read through those blog posts and you have the gist of my speaking engagements! Well, minus my incredible wit and sarcasm of course 😉 I had a lot of fun sharing these ideas in person, and loved hearing which “charts” people would be trying at home ASAP (the getting ready chart and screen time seemed to be the biggest hits)! If you happened to be at one of my sessions, and have tried one of my ideas out already, I’d love to hear about it! 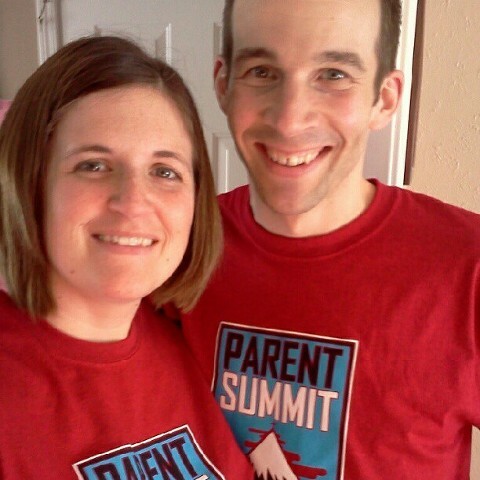 A rare picture of Nick and me, wearing our matching Parent Summit t-shirts! All crummy quality pictures are brought to you by my crummy camera phone.